When my mother-in-law, Erica Thomas, died in 2004 she left behind a lifetime’s worth of ‘stuff’, yet little of what she possessed showed who she truly was. What began as a familial duty morphed into obsession as I sifted through her belongings, piecing together fragments to create a portrait of a woman’s life far removed from my own experience. When did I stop using lipstick? Tantalising clues found in photographs, letters and family films revealed a very different Erica from the retiring ex-academic I came to know. As a child refugee fleeing Hungary on the eve of war, she was traumatised by family conflicts, separation from her beloved father and the great events of the 20th century. At her funeral, a very private affair, I had wondered: who would tell Erica’s story? From the outside her life appeared ordinary, destined to pass unremarked. Yet, when seen from inside, her experience was extraordinary. 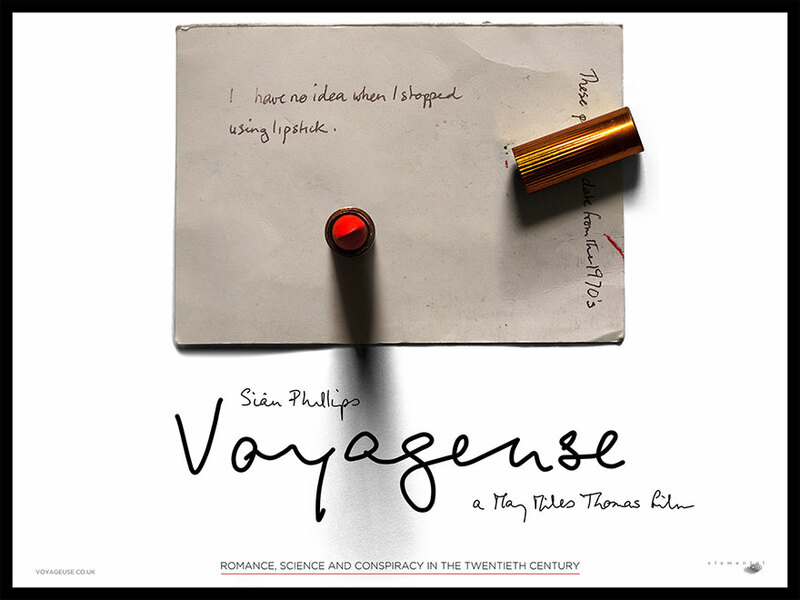 In the years following, Voyageuse became my passion project, made from little but scraps of paper, fading pictures and memories. There are three sides to every story – yours, mine and the truth. Years ago, while exploring the abandoned Leverndale Psychiatric Hospital, I discovered in a file of case notes labelled ‘Visits After Discharge’ the record of a former patient, Mary Ross. Her habit of taking long, seemingly arbitrary walks around Glasgow caught my attention. When I then chanced upon Harry Bell’s self-published Glasgow’s Secret Geometry I realised I had the makings of a film about my home city. Harry’s quest, detailed in his book, was to rediscover the trackways by which ancient peoples had navigated. Of the many ‘prehistoric communication lines’ he identified, two passed right through my childhood homes in the city’s southside. This, and my own connection to the many places visited by Harry and Mary, expressed the chance ways in which our lives are contingent and circumstantial, of how we shape the landscape, and how the landscape shapes us. For two years I travelled over 4000 miles, exploring Glasgow’s edgelands, its schemes, abandoned streets and historic landmarks, re-tracing Harry’s and Mary’s footsteps. Here I encountered my own past, travelling in time to find myself back where I once lived, studied or worked, places now gone or irretrievably altered. On a hot July afternoon I stood with my father outside the Glasgow Film Theatre. 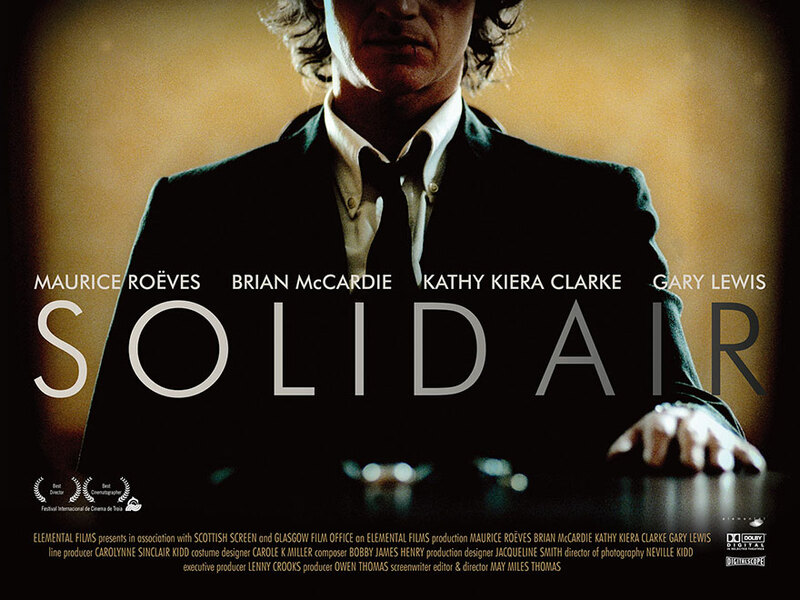 We had just watched the cast and crew screening of Solid Air, based loosely on his experience of attempting to claim compensation for asbestos poisoning, the result of years working away from home in shipyards, refineries and power stations. The screening was made especially poignant as, only weeks before, my father and I had attended my mother’s funeral; a wife, like so many others, whose married life was sundered by the demands of his work. What compelled me to make the film was the heartbreaking revelation of how, in search of a witness to testify in court, my father contacted his former workmates only to find they had all died. All of them. Following his case closely, I eventually accompanied my father to the Court of Session in Edinburgh to witness the deal struck between lawyers and insurers that resulted in his derisory out-of-court settlement. A man of few words, he offered no opinion of my film nor did I ask. Instead, at the entrance we held onto each other a little longer than we normally would. As he walked away, without turning, he said very quietly, “I’m so proud of you.” It was a moment worthy of a movie and one I will always treasure. One chill December morning I locked up the empty Berlin apartment I’d called home for over two years to make the long journey back to Glasgow in a beaten-up Maestro, its back seat removed to make space for boxes, clothes and an edit suite. Among these few belongings was a spec script written only months earlier that I was determined would become my debut feature. It was the reason for my homecoming. The inspiration for One Life Stand came while watching a re-mastered version of Pasolini’s Mamma Roma. There was a spirit in Italian neo-realist films reminiscent of my rough upbringing in the inner-city slums, a place in my memory that always seems black-and-white. My diary describes how I hoped to make ‘a realist movie in the European tradition, a foreign film in my own land.’ Certainly on my return to Glasgow I felt less a native than a tourist. I gathered a small cast and crew and shot with improvised digital equipment in vacant buildings, flats, shops and on the streets. While everything was planned, scheduled and accounted for, I had no way of knowing if this way of working could succeed. 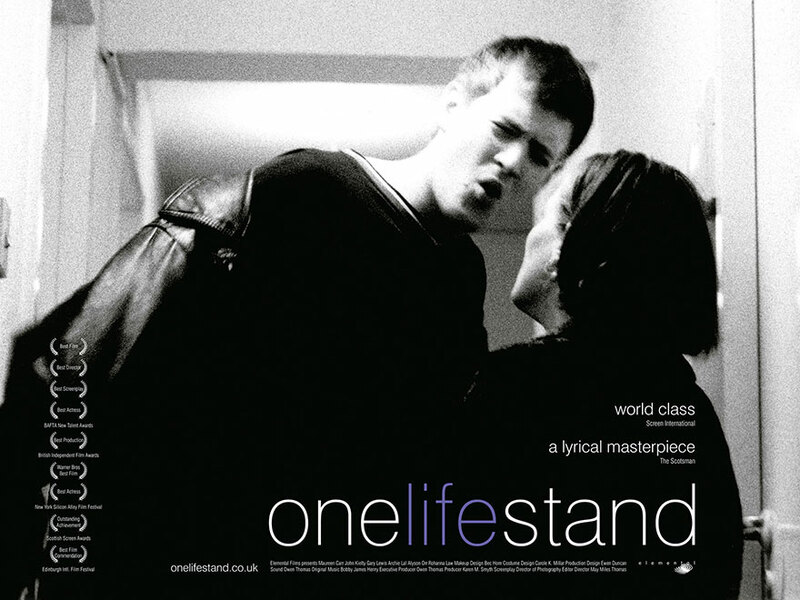 Yet One Life Stand would go on to become the UK’s first end-to-end digital feature – and a critical triumph.